A year ago, they were nobodies. Just another name in the rolls of University of Malaya, Faculty of Law (UM). Just another a silent huddled figure in the lecture hall. Just another random law student with no mooting achievement to cheer about. 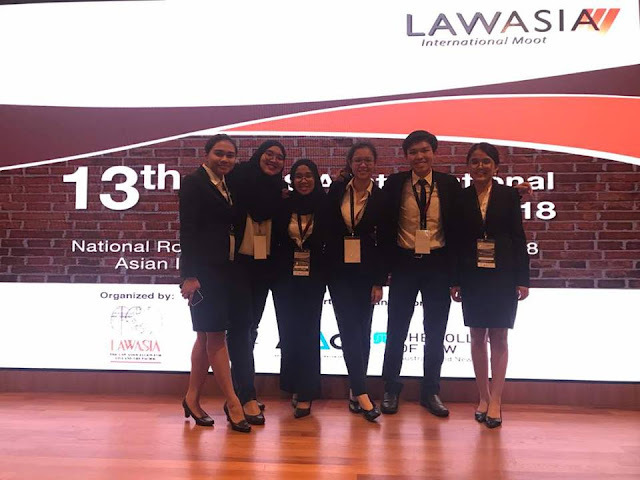 In July 2018, 9 UM mooters took a dive into LAWASIA. A competition we have never ventured for more than a decade, hence knew little about. 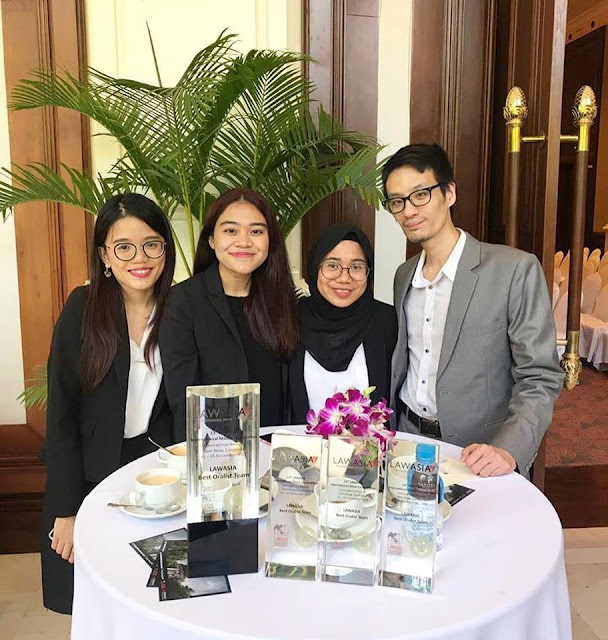 The biggest competition in Malaysia, fiercely fought between 30 teams from 11 law schools. Despite such long odds, two of our teams prevailed as champions and runners-up of Malaysia! 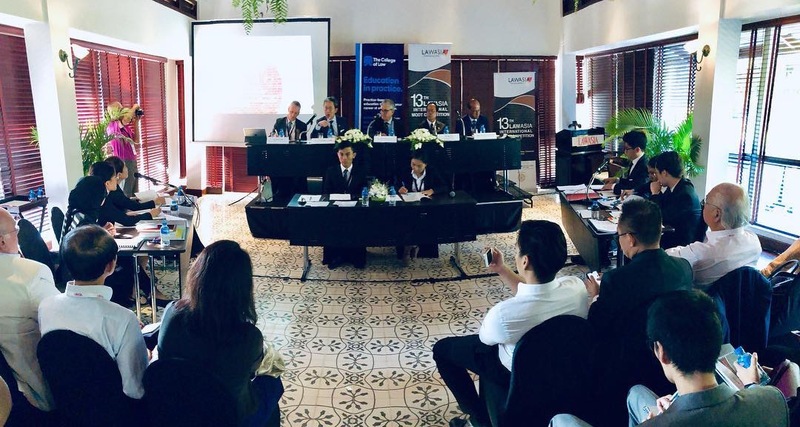 In November 2018, we traveled to Cambodia for the International Rounds. Our runners-up team followed as a reward for their achievement, and also to lend support. In the end, we prevailed as champions of Asia, defeating NUS in the finals by a resounding 5-0 unanimous vote! It's not only the heights of our success that bears retelling, but also the lengths of our journey. 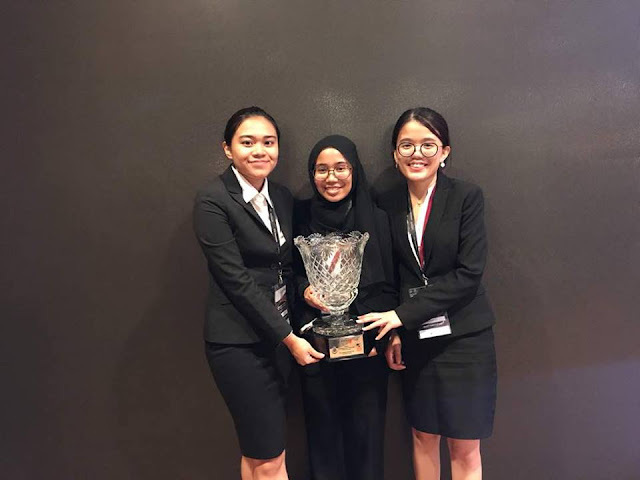 Unfortunately, our third team of Soo Yew, Thomas and Najihah did not make it far in the Nationals. Despite your early exit, your continual support - substantial and moral - kept the rest of us going. Someday, your time of reckoning will come. Much credit goes to the assistant coaches - Simon Wood and Marcus Lee. Your training sessions and constant advice were invaluable. Each of you offered something different to the teams. Such diversity of expertise helped sharpen all our rough edges, leaving no stone unturned. Along the way, we also had assistance from external allies aplenty. You know who you are. Each of you played an instrumental part to our success. You made us believe that we could bring the trophy home and make Malaysia great again. And mooting aside, you taught us how to think and act like a lawyer. Lastly, a special shout-out to Team ATC of Subash Jai and Haseena Kaur. You all came excruciating close to outranking us in the Nationals. And instead of drowning in sorrow and envy, you put on brave face, wished us luck, and more importantly, passed us a text book that we heavily relied on in our preparations for the International. True grace in defeat. All in all, it was through the combined efforts of numerous comrades and allies that shaped us into champion material. Such great spirit of solidarity. Malaysia Boleh! The unsung heroes behind the scenes were Amiratu, Caysseny and Jia Shen. They were only beaten by their own comrades in the National finals, and only missed out on a spot in the Internationals because the competition rules limit one team per institution (so the 3rd and 4th ranked Malaysian teams advanced instead). Their feats have been overshadowed. Their names aren't emblazoned on the press and banners. Their valiant selfless contributions to the greater good will be relegated in the footnotes of history. Such is the cruel nature of competition, success and fame. No one quite remembers the runners-up. Bridesmaid don't make the headlines. If you're not first, you're as good as last. Amiratu joined LAWASIA at the tail-end of her third year. She has never previously mooted before, except for the internal competition that led to her selection. Initially reluctant, it took her awhile to get into the groove of mooting. Slowly but surely, she gained passion and momentum through our sparring sessions, occasionally even besting the seniors. True enough, she soared high during the Nationals - mooting all 7 rounds, and topping the the oralist rankings. A late bloomer who just can't stop blooming! Caysseny was just a freshie. Her only mooting experience was a researcher in the Malaysian Vis Pre-Moot held in March 2018. So just like Amiratu, LAWASIA was her maiden competition as an oralist. And a big splash she made, consistently racking high scores in every round she mooted, even outscoring older and seasoned mooters. Most admirably, her head has not swelled any larger. She remains modest as ever, and still sees herself as a junior with much to learn and grow. A truly rising star! Jia Shen was also a freshie. Before LAWASIA, he was in NAMCO, where his team fell short in the finals. Two competitions, two silvers. Not a bad haul in just one year, but he's hungry to capture the elusive gold. Just like Caysseny, he doesn't let success get into his head, nor failure blunt his confidence. He's well aware of his weaknesses. He's constantly improving his skills. He's ambitious, yet patient. He's cynical, yet optimistic. Together with Caysseny, he shines brightly as a guide for others to follow the light! Finally, the champions: Suan Cui, Lily and Aliya. Individually, they are strong. Collectively, they form an almost unbeatable force. Our champion team was much older and experienced, though not by much. Suan Cui only started mooting late in her third-year. Her first moot was IMLAM in July 2017 (Quarter-Final, 8th-ranked oralist), followed up with Price Media in 2017/2018 (Quarter-Final, 6th-ranked oralist). In mid-2018, she was juggling two different worlds of mooting - Asia Cup (international law in the ICJ) and LAWASIA (commercial arbitration in the AIAC). After tasting victory in LAWASIA Nationals, she could not quite repeat her feat in Asia Cup, falling in the finals against NUS. As fate would have it, she faced NUS yet again in LAWASIA International - and prevailed. Victory is sweet, but vengeance is even sweeter. A perfect happy ending to an unconventional mooting career! Lily Sabreena also started mooting in her third-year. Her first moot was Tun Suffian Moot in November 2017. There, her team finished runners-up to NUS. So just like Suan Cui, LAWASIA proved to be a journey of redemption - and she was also awarded the Runners-Up Best Mooter in the Internationals! 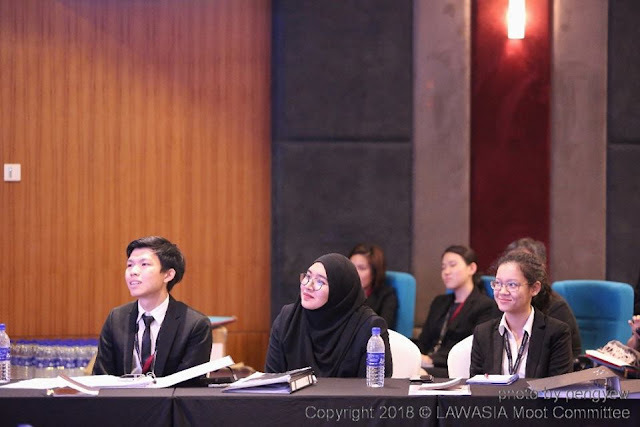 Her second moot was IMLAM in July 2018, steering UM farther than any Malaysian team has gone before (Semi-Final). And like Suan Cui, she was juggling two separate moots at once. Oh, and she had internship too! After all, isn't that what real lawyers do - juggling multiple cases and clients? Truly a professional lawyer in the making. Nur Aliya made her moot debut along with Lily in Tun Suffian Moot. There, she came face-to-face with the legendary Gopal Sri Ram in the finals - and survived his barrage of questioning and insults! Being the youngest member, she struggled at times to keep up with her more assured seniors. Nevertheless, her spirit never wavered. She toiled hard at whatever role and responsibility she's given. She didn't mind 'taking one for the team' when strategic calls are made. At merely the halfway point of law school, time is still on her side. Her mooting career has only just begun. What was the cause of their meteoric rise? How did they come out of nowhere to edge out more talented mooters in UM, Malaysia and Asia? Humility, self-awareness, the willingness to adapt. Focus, resilience, the ability to not-to-give-a-f**k what disbelievers and haters say. They aren't the most fluent speakers. They aren't the most knowledgeable students. They aren't the prettiest of faces. But ultimately, what matters most is character - even more so than talent, skill and experience. They aren't afraid to seek help, ditch away their long-held beliefs, and learn afresh from square one. They do not walk alone, but march together. Each time someone falters, another will track back and pull their fallen comrade up. They are champions not because of how great they are as individuals, but how great we all are as a community. There is an awakening. There is magic tingling in the air. There is a renewal of hope. Yes, Team UM Is the champion of LAWASIA. But the fruits of victory is not just for us to enjoy. Instead, it's a beacon of light for everyone to behold. It's a landmark authority which screams out: "Everyone can reach to the top, no matter who you are, and where you come from." Let this be a victory of hope, faith and trust.